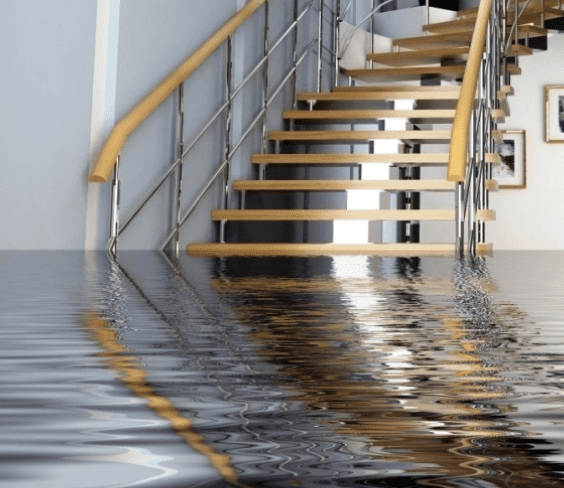 Flooded basements – what to do if a basement floods? Few things in a homeowner’s life are so stressful as a flooded basement. Unfortunately for your insurance, this is also among the most unclear situations you can face regarding insurance coverage and claims. Some causes of flooding the home owner’s insurance policy will cover, while others it will not. In those cases, you would need to have actual flood insurance to be covered. There are a series of practical steps you should take if you find your basement unexpectedly flooded. The first thing to do every time is to turn off all power surrounding the area. This includes both gas and electricity. A golden rule is to not ever submerge yourself in any flooded area when the power is still turned on. If you can not turn off the electricity with certainty, then you should call an electrician first. When the water is not caused by rain, you should take immediate steps to rectify the situation. If a storm is causing the flooding, it is always best to wait until the storm is over before you start the work. No matter the cause of the water, you always need to wear gloves and boots as protective gear. Be careful moving and walking around flooded places as they often can cause slipping hazards. 1. Ascertain where the water is coming from – In cases where a burst pipe is to blame, turn off all water sources to the basement. 2. Many basements come equipped with a floor drain – ensure that it has not been clogged in the flood. Maintaining an open and fully working floor drain will help to remove the water quickly. 3. Begin manually removing the basement water – there are several types of pumps that are handy for forcing the water out of a basement. Pool pumps, sump pumps, and even wet/dry vacuums are all potential solutions for the job. You find sump pumps down in the lowest section of the basement. These function by draining the water out of the house. Sump pumps generally prevent water from entering through the ground level and coming into a home. An unexpected sump pump failure could lead to floods in more than just the basement. Once the majority of the water is out, you can utilize sponges and cloths to soak up the rest of the water. 4. Remove all damaged things from the basement over to a ventilated area for drying – Sunny spots are naturally best if you have them. Never attempt to dry wet items in the basement which is already a damp space. In well-ventilated areas, items generally require about 48 hours to dry completely. If they stay wet longer than this, they will begin to suffer from mildew and mold accumulation. You should carefully inspect them thoroughly after the 48 drying period to determine if they need to be thrown out. Wet cardboard boxes are especially good candidates for bacteria and mold. You might salvage what was in the boxes before throwing the boxes themselves away. Because of all the things that can go wrong in such a cleanup job, it is never a bad idea to bring in a professional. You should never touch anything electrical that is wet, even after electricity has been both turned off and disconnected. Stereos, televisions, and lamps are all extremely dangerous things to touch in floods. Electrical equipment should be left to dry where it is standing or resting. Electricians are the best professionals to call in cases where thee are potentially damaged electronics and electrical appliances. Does Insurance Cover Flooded Basements? Broken Appliance Flooding – when the A/C, washing machine, or refrigerator malfunctioned and caused a room to flood, standard homeowner’s insurance policies will cover the water damage. The caveat surrounds proper maintenance. If the appliances are not properly maintained, then they may argue is your fault. Leaking Water Heater Flooding – Leaky water heaters would be covered by a homeowner’s insurance policy. Once again, the insurance company may try to disqualify the claim based on any poorly maintained water heaters. Bursting Freezing Pipe Leaks – Insurance policies cover bursting pipes that freeze. This includes appliances, sprinklers, and A/C/ units. The only requirement is that you must be occupying the house when it floods. Overflowing Pools, Tubs, Sinks Floods – If something overflowed, your insurance policy will also cover this damage. They call this “sudden and accidental” so all destroyed items will be replaced. Floods from heavy rains and storm surge – nature caused flooding is never covered under a standard Home Owner’s Insurance Policy. Only flood insurance will help in these natural causes. A good sump pump is the best remedy for these cases. Sewage Backing Up Floods – When your external sewer backs up into the basement, you can not count on your Homeowner’s Insurance Policy. Such a sewage backup will be among the most expensive disasters your home can suffer from. Sewage backups can cost even hundreds of thousands of dollars in repairs. Underground Water Seepage – This is usually not covered. Saturated ground can force water into the basement. The importance of using a professional in terms of ensuring water removal is done right can not be overstated. There are a number of steps you should follow to make sure that mold does not form and a complete restoration results from the repair job. 1. Start with ripping out the carpeting and removing it from the basement as quickly as possible – Carpets keep floors from drying properly, especially if they are not rapidly removed. Wet carpeting can sometimes be saved if it is taken up quickly enough and put out to dry. A restoration specialist as well as a carpet cleaning contractor could help you save the carpet through thorough drying. Not properly dried, carpets can become ridden with mildew and mold. 2. Allow the basement several days to dry – It helps to open all doors and windows to allow maximum ventilation. You can put fans throughout the room to circulate as much air as possible to improve the drying time. You should rent a dehumidifier in the event that you do not have one currently. 3. Wash all walls and floors – Be sure you get all dirt that the water left behind removed. All damaged and wet drywall as well as insulation needs to be removed and disposed of so that mold does not form and rapidly spread. 4. After walls and floors have dried – rely on an anti mold and mildew spray to discourage mildew and mold from subsequently appearing. 5. Report the flood to your insurance company – you should confirm any coverage limitations, deductibles, and claim filing procedures as early as possible. This will improve the chances of the insurance honoring the claim.